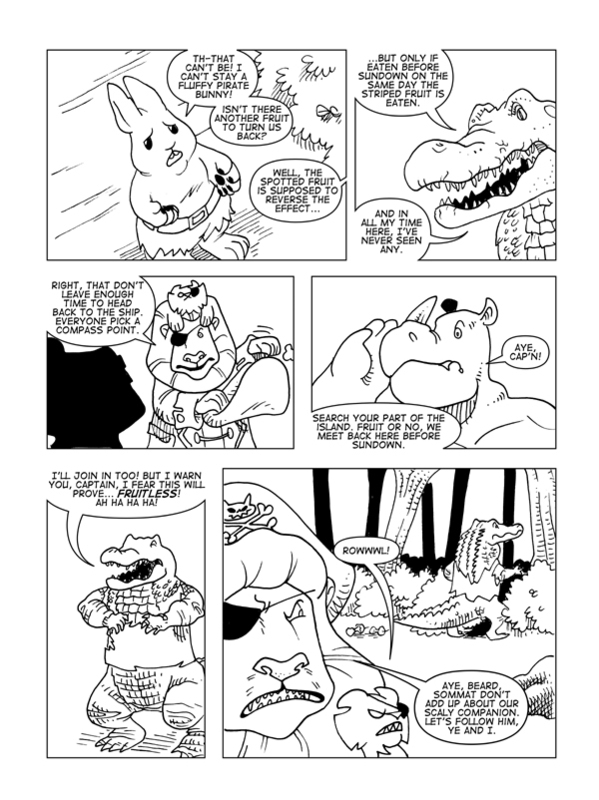 Claws And Effect, Page 15 – Catbeard the Pirate! You have no idea how much fun I have drawing Mr. Brevis as a fwuffy widdle bunny wabbit. We’re down to the wire, folks! This Saturday at 3:00 the Catbeard Book Two Kickstarter completes! We’ve blown away the initial funding goal and now I’m just pushing hard at the stretch goals. As of this typing, I’m only a hair away from drawing a sketch card for every single backer. Wouldn’t you like to be the one who gets everybody sketch cards and makes me stay up until the wee hours of the morning drawing tons of little tiny drawings? YOU KNOW YOU WOULD. See you all on Friday, and thanks for being a Catbeard reader!